A few weeks after the 2016 election, on a bus ride from New York back to my home in Boston, I was mulling over the same question that everyone seemed to be asking late last fall: How are we supposed to talk to each other right now? I’m also a middle school teacher, so I was especially thinking about how kids talk. Throughout last year, I was struck by how often my 11- to 13-year-old students made bold generalizations about people who are politically different than themselves. (In my case, this means Republicans.) And given the national atmosphere among adults during the election, I wondered how politically opposed students could move beyond that reflexive rejection — and fundamental disinterest — in each other. Gushee and Kissling identified an essential point of engagement. The conversation I imagined for my class might be challenging and uncertain, but it would be valuable, I thought, if it worked to humanize students in each other’s eyes. I started considering what that conversation could look like, and letters felt like the best medium; they slow students down from what they might otherwise email or text back, and they also create a material connection. Students could hold each other’s notebook paper and see each other’s handwriting. That spring, the educational non-profit Facing History and Ourselves put out a call for applications to their Margot Stern Strom Innovation Grant, whose 2017 theme was “hard empathy,” or empathy for those to whom we don’t easily or automatically relate. I applied with the letter-writing idea, and in June found out that I was one of twelve educators selected. Soon after, I realized that it was easy to talk about the project and its empathetic goals, but I had no idea how to approach someone and ask if they’d be my conservative teacher pen pal. I asked friends, family, and colleagues for contacts, but no one had any leads that panned out. The ultimate solution was, maybe inevitably, Facebook. Cherese was immediately open and excited about the project, and she was willing to devote 2-3 classes a month to reading and writing letters — precious time for any teacher trying to get through the year’s curriculum. I visited Ozark in early August. Over meals and drives and tours through her school, Cherese and I described our communities to each other, including their respective — and often opposing — attitudes towards religion, LGBTQ rights, and guns. Both of us felt intimidated by what we were about to try, but also excited to see what might be possible. In August, each student in Cherese’s class picked out one of my student’s names from a hat, and the project began. As it turned out, finding shared humanity came much more quickly and naturally to our students than I had guessed it would. Even in their first letters, they shared intimate details about divorces, deaths, poverty, and alienation at school. One of my students said he loved the correspondence because it let him share things he couldn’t with anyone else, including at home or in school. In Cherese’s words, the project has become a place where many of her students can truly be themselves and not face judgment. But throughout these months of personal connection, many students don’t ask many questions of each other that explicitly address their differences. After we watched a New York Times video of teenagers discussing what America values, many of Cherese’s students said they related to Kaitlyn, a young woman with a Southern accent who discussed her Christian faith and her perspective on the Confederate flag. Almost all of my students said the opposite — that they related to Kaitlyn the least — but very few asked their pen pals why Kaitlyn felt so familiar to them. I understand this. Meeting Cherese in Arkansas made me feel close to her, and I want to protect that closeness. In moments when I know our opinions will diverge, my first instinct is to ignore the difference, instead of investigating it. So as we enter the fifth month of correspondence, I’m confronted with a new question. Once we see humanity in the other, how do we stay honest and inquisitive? After all, so many people seem frustrated in dialogue precisely because they see others’ humanity. It is often much more emotionally taxing to disagree with a beloved friend or family member than an anonymous stranger. To help us deal with challenges like this, we consulted with John Sarrouf at Essential Partners, an organization that specializes in fostering communication across difference. John underlined the importance of a clear and shared intention. If the purpose of dialogue isn’t clear to all involved, he’s found, the conversation can easily break down. So, when the students’ natural aim was friendship, it made sense that they dodged harder questions. But because we wanted students to see each other’s humanity and more directly engage with one another, John helped us identify another purpose of the project: investigation. That idea helped us be explicit about the project as a rare opportunity to wonder of others, “How could they believe that?” and then actually get to ask someone who could answer. Encouraging greater understanding can also feel dangerous. It sounds like a form of moral equivalency, insisting that all perspectives are equally valid. I asked facilitator Bob Stains about this, and he had a simple answer. This strikes me as a clear but vexing question. Hearing and understanding means resisting the urge to persuade, which seems both radical and uncomfortable. If I deeply oppose someone’s perspective, I imagine our students wonder, why should I find out more about it? Isn’t it my job to convince them otherwise? But if it’s true that even facts don’t persuade us, and that many of us don’t know how to disagree productively, it also seems like the only practical and effective way to begin. Frances Kissling also articulated this idea, that we need both connection and inquisition to create a worthwhile dialogue. In its first few months, the project has pushed me to confront what that listening needs to look like if it’s going to be meaningful. The students almost immediately heard each other as fellow human beings, but resisted learning more about the adverse parts of that humanity. In December, they started asking questions like “Would you vote for someone you liked if they didn’t support guns?” and “Would you ever consider converting to Christianity?” I’m anxious to see how they wrestle with new questions and challenges throughout the spring. These struggles, which I share, have revealed the difficulty and value in the fact that we can, as it turns out, talk to each other right now. 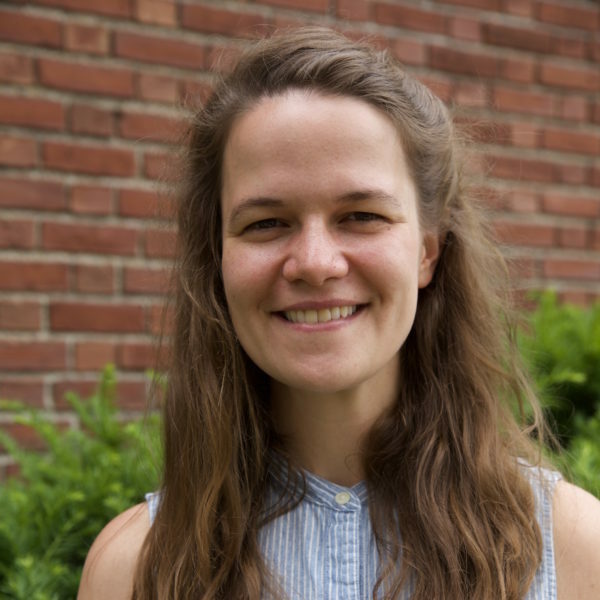 Catherine Epstein teaches Humanities and directs theater at Meridian Academy in Jamaica Plain, Massachusetts. She received her Bachelor’s degree in English from Vassar College, where she wrote her thesis on banned books in American schools. She has worked as a public radio producer for WNYC, freelance writer, museum educator, and submissions reader of short stories and plays. She is a recipient of a 2017 Margot Stern Strom Innovation Grant from Facing History and Ourselves. A veteran Republican senator and Democratic economist are political bridge people who’ve brought differing approaches and shared love of country to generations of economic policy. In this tense political moment, they offer straight talk and wise perspective — and won’t let partisan gridlock have the last word. The final dialogue in our Civil Conversations Project.